It's been a long time coming, but here it is, our first blog post. 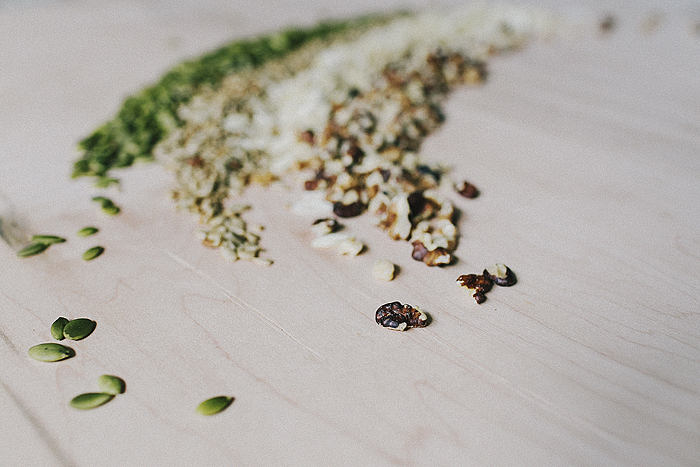 Let's talk granola. We have been wanting to develop a granola recipe for some time now and have been testing (read: eating) countless amounts of granola recipes and variations over the past couple of years. A recipe was finally agreed upon, one that we were proud to put our name on. 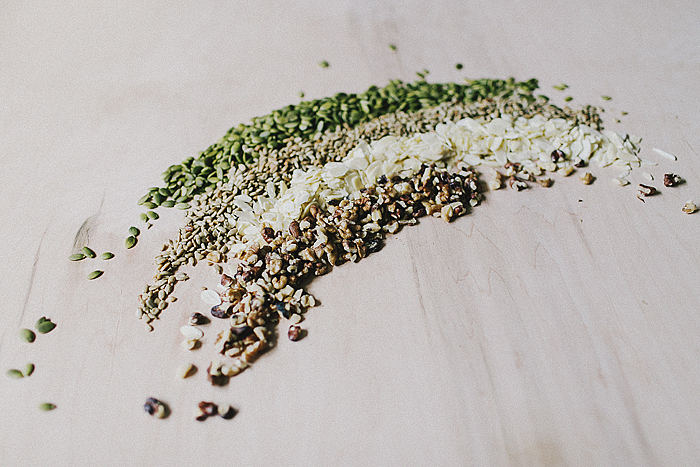 A granola with wholesome ingredients and no shortcuts. Whole rolled oats and a mix of nuts are common ingredients to many granolas and this one is no exception. But to achieve that light crunch and perfect sweetness, we used an excellent olive oil and pure maple syrup (thanks White Meadows!). Through our experiments we tried a number of sweeteners, but nothing gave that same perfect, sweet flavour and consistency as 100% pure maple syrup. The beautifully flavoured amber syrup we use for the granola is available in our market, but you could also head down the road into Fonthill and get a tour of the maple farm for yourself! It was also exciting bumping into Marianne den Haan this past winter at the OFVC convention to chat about farming and life. Marianne and her family run Sheldon Creek Dairy and we are thrilled to have their farm fresh dairy products on our shelves. 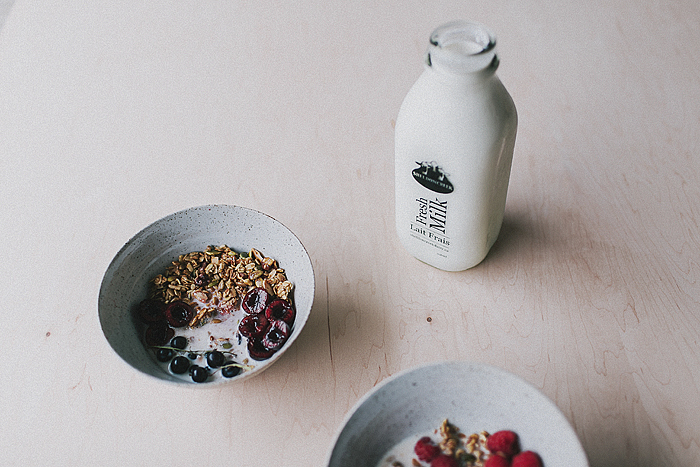 We highly recommend pairing the granola with this delicious whole milk and fresh berries. Our granola intentionally does not contain any dried fruit. We want those buying our granola to top it with seasonal, fresh Niagara fruit. 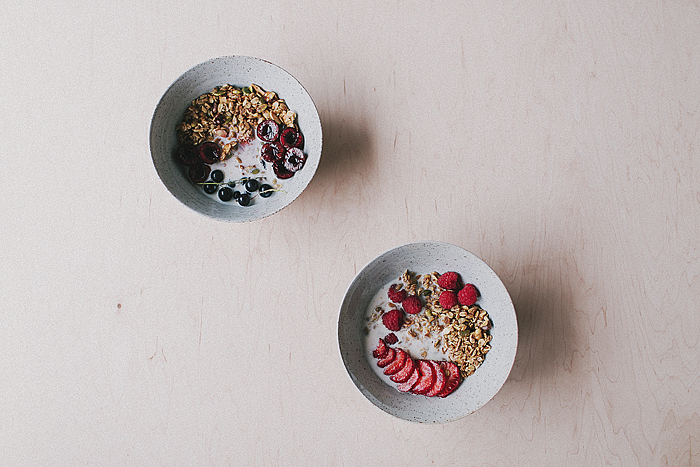 The combinations shown here are strawberry + raspberry in one bowl and black currant + sweet cherry in the other. Trust us, with such beautiful fruit available only for a short while, now is the time to take advantage of the bounty! 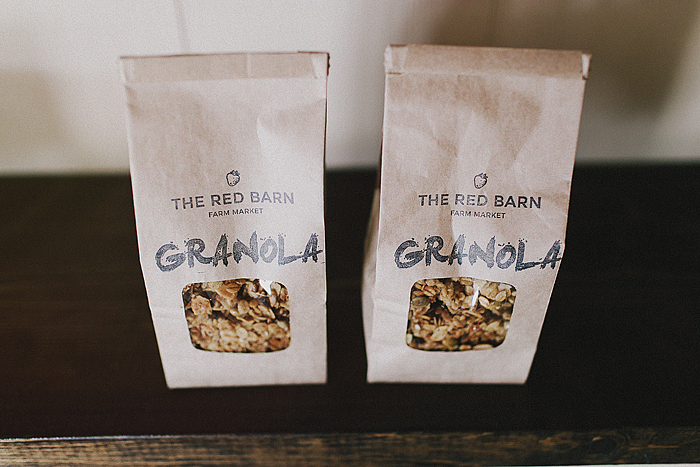 We are very proud of this granola, and want to give you all a taste. Get a free mini cup of granola with every purchase tomorrow, Saturday only (July 18!). While supplies last. Welcome to our site, and more specifically, our blog. Here we hope to share an abundance of information in hopes of encouraging and enabling you to experience more of the goodness found right in our backyard, Niagara. We hope to share stories from the farm, recipes and information on other inspiring purveyors of Niagara farmland. We call ourselves The Red Barn. We've quietly transitioned from our original name of Tigchelaar Berry Farms Market but anyone familiar with our family will notice many of the same faces, the same recipes and most importantly the same strawberries. The incredible bounty of our region coupled with the careful attention of all who tend to this land enables us to provide something truly beautiful. Ultimately our desire is to share all that the family farm means to us. We invite you to follow us on our journey while we continue to grow and build our dreams.